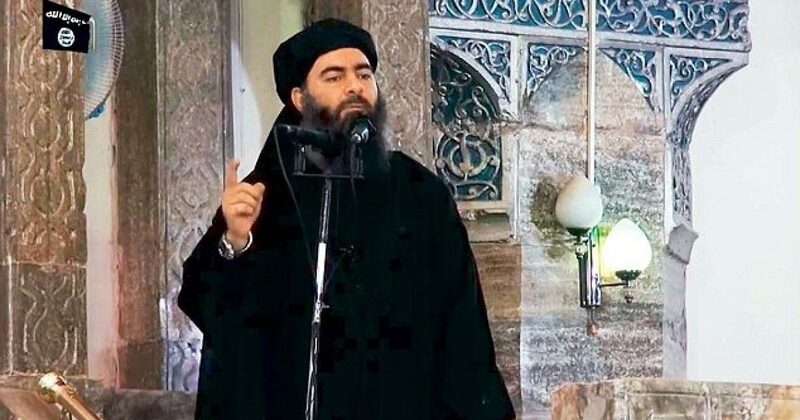 ISIS leader Abu Bakr al-Baghdadi has admitted defeat in Iraq and ordered militants to either flee or kill themselves in suicide attacks, it has been claimed, according to the Daily Mail. The terror mastermind is said to have issued a statement called ‘farewell speech’ which was distributed among ISIS preachers and clerics in parts of Iraq it still controls. According to local media, he urged supporters to run and hide and told ‘non-Arab fighters’ to either return home or blow themselves up with the promise of ’72 women in heaven’. News of the statement, which has yet to be verified, comes as US-backed Iraqi army units took control of the last major road out of western Mosul that had been in ISIS’ hands.